Upcycling ideas: flower pots out of baby shoes and plastic bottles. This is another great and cute upcycling idea. Here in Ukraine we plant onions in the spring at home to grow greens for our salads. It’s very easy, but usually these onion pots do not look good. 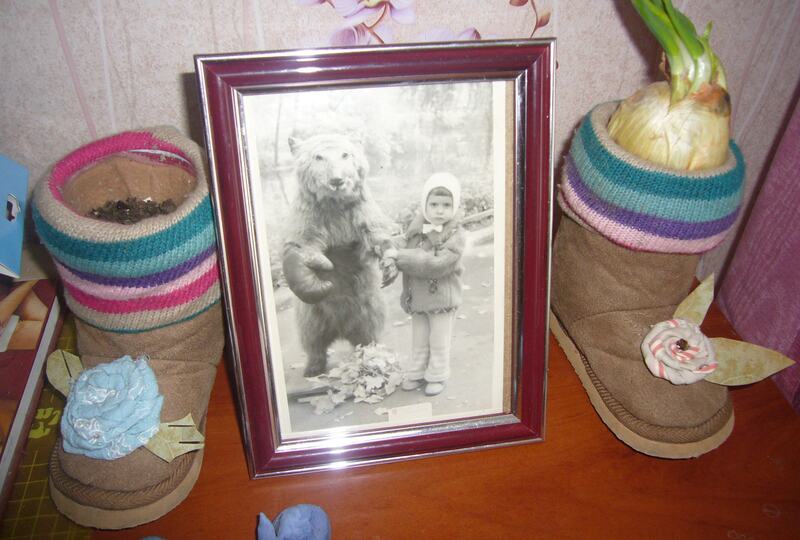 Yesterday I found old baby shoes. 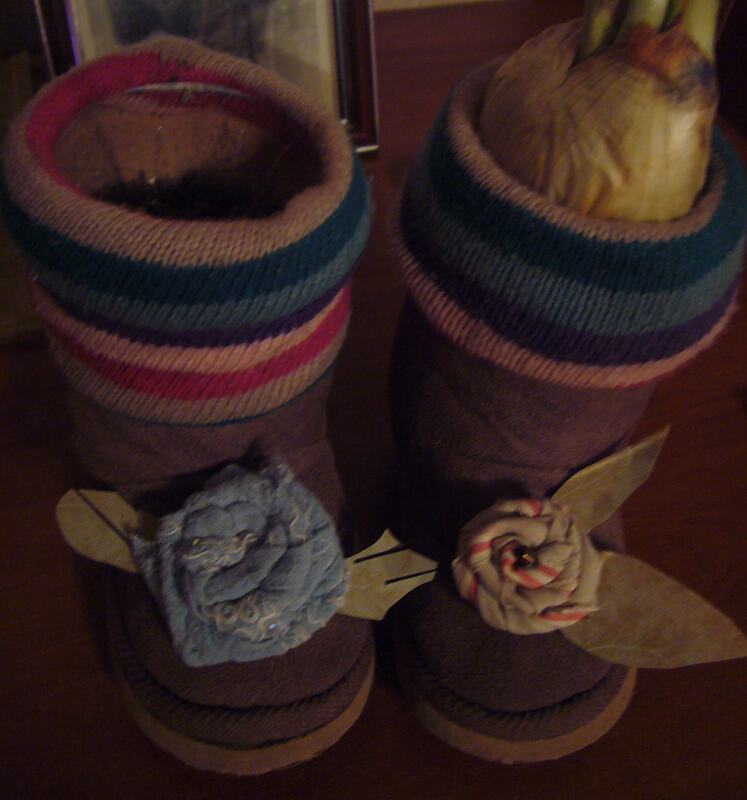 They are cute and I was sorry to throw them away, so I got this upcycling idea in my head: shoe flower pots. I made them out of plastic bottles. So, it’s another go green project. Find two plastic bottles of suitable sizes. Cut the tops out on the level you need to fit into the shoes. Fill them in with soil, water and plant your flowers or stick in the onions. One of these shoe pots has an onion in it and I have planted basil into the other one. Plus I have decorated them with rolled fabric flowers in shabby chic style. I used pieces of vintage photo album paper to adorn the upcycled shoe flower pots with leaves. So, this is totally go green easy project for you. This entry was posted in Crafting Tutorials, Go green and tagged crafting, cute flower pots, DIY, diy tutorial, flower pot tutorial, go green flower pots, go green tutorial, green crafts, handmade, home decor, housekeeping tips, plastic bottle crafts, recycled crafts, recycled flower pots, recycling, recycling plastic bottles., rolled flowers, shoe flower pots, upcycling. Bookmark the permalink.